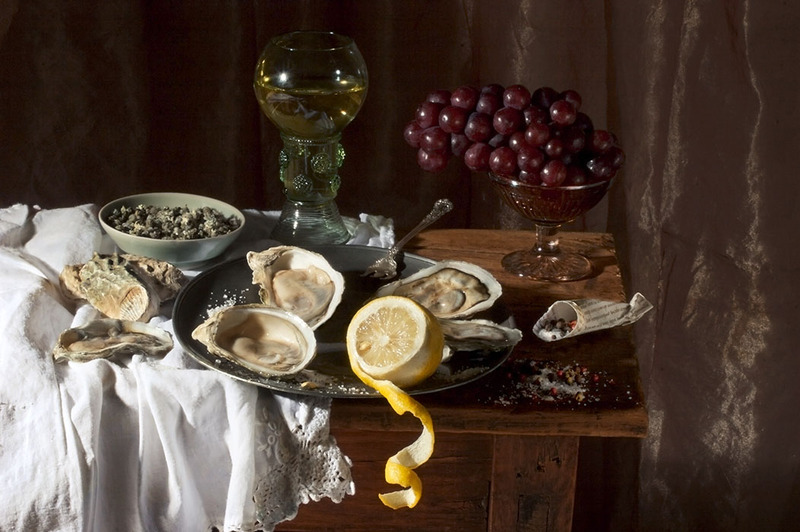 Paulette Tavormina, a New York photographer, who also works in advertising, has developed a profoundly artistic approach to culinary photography. Her impressive know-how is used internationally whether on films such as «The Perfect Storm» with George Clooney, «Intrusion» with Johnny Depp or «Nixon» with Anthony Hopkins, or for cookbooks produced in collaboration with renowned chefs. Still life, «Natura Morta», has become her favorite subject. The great masters of the genre, the Flemish, Spanish and Italian seventeenth century painters inspire her to create poetic and attractive scenes. She studies her compositions with great care. She searches for the perfect fruit or antique porcelain and places each element meticulously, adjusting each flower, crab or butterfly.